Truro BID is a business led initiative supported by government legislation which gives businesses the power to raise funds locally to be spent locally on improving a defined commercial area. A BID is created when the majority of business ratepayers within that area vote to invest collectively in local improvements. Truro's BID first became operational in October 2007 and returned with another successful ‘yes’ ballot result for a second 5 year term in October 2012. 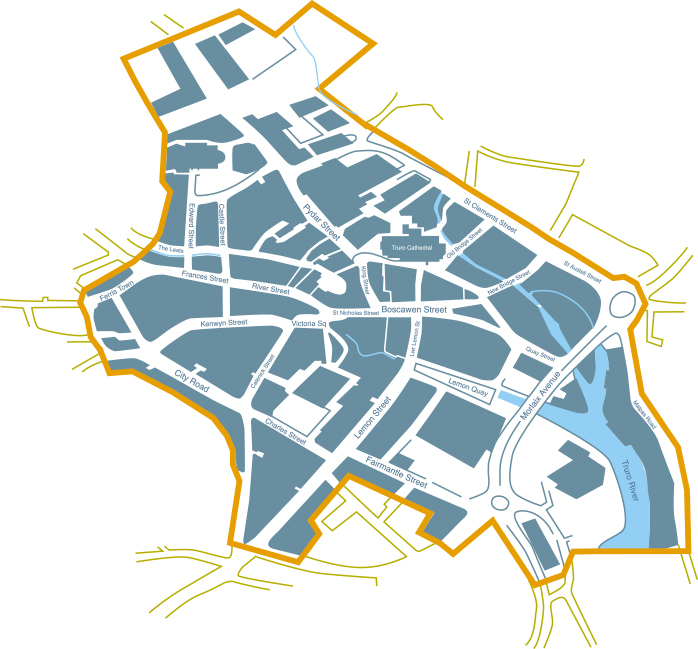 The BID represents circa 400 businesses and over the past 10 years has invested £3.4million into the City centre. The BID is independent from local authorities and other statutory agencies and delivers projects over and above the baseline services provided by them.